It’s sometimes hard to believe that there is such a thing as a Fall season here in the Los Angeles area when it’s still in the 80’s and 90’s in November. But guess what? It exists! And we have an apple picking season to boot. What could get more Fall than that? 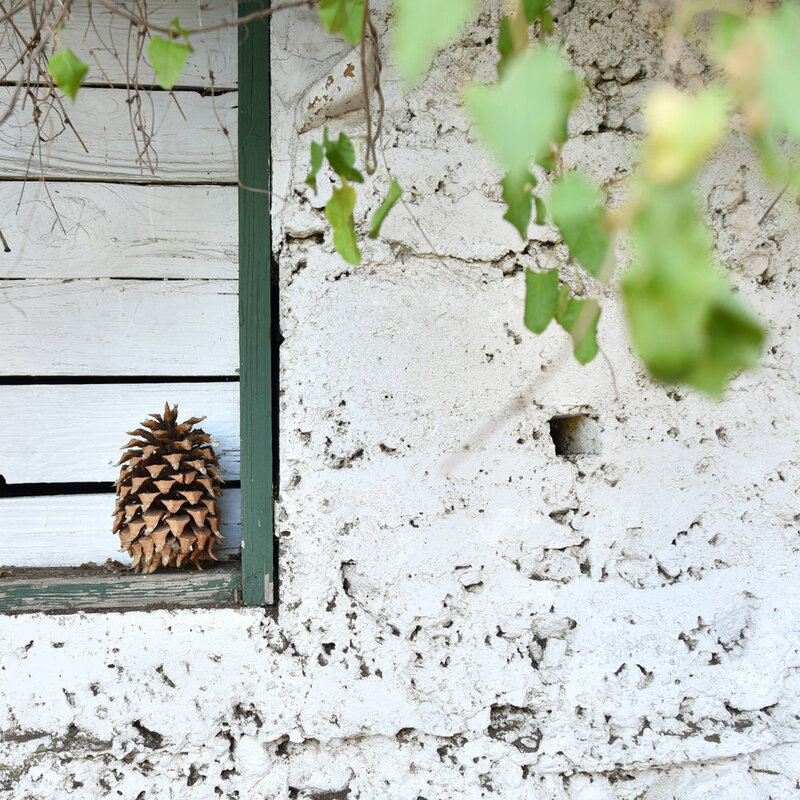 To ring in November, we drove about an hour east into the apple growing foothills of Oak Glen, California. 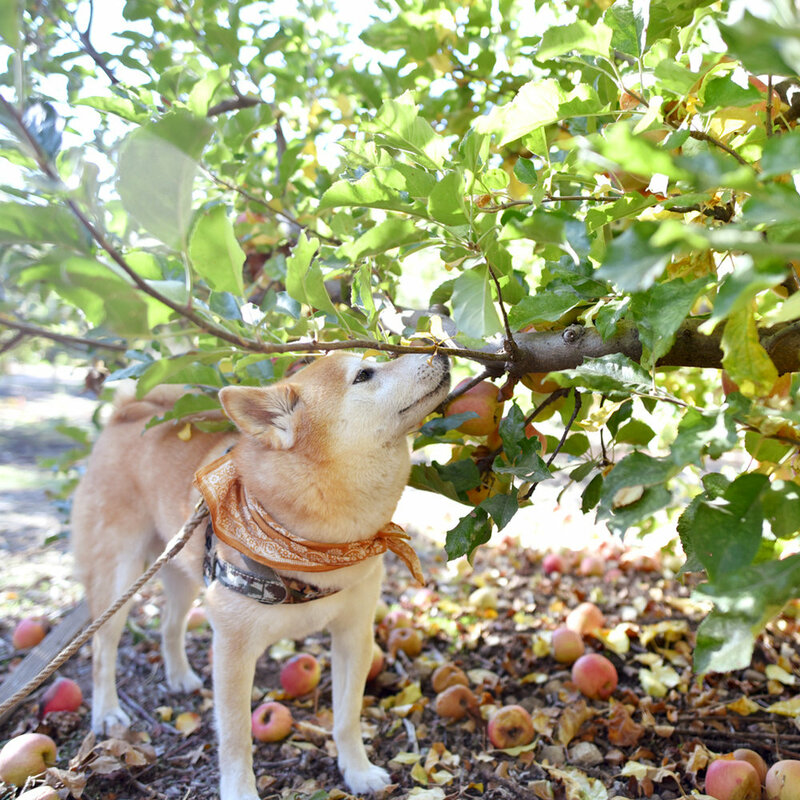 While many apple orchards in the area do allow U-Pick Apples - David and I visited Riley’s Farm a couple seasons ago and had a blast - I have not yet found one that allows canine visitors. 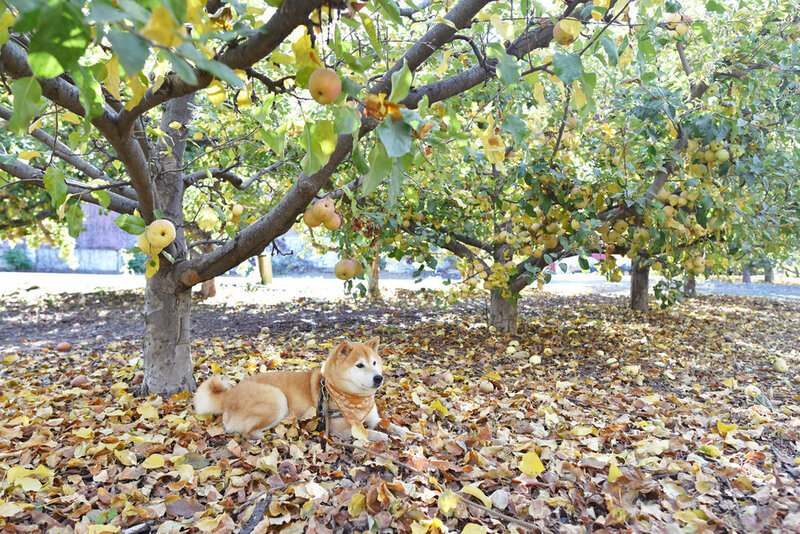 Snow-Line Orchard, however, is dog-friendly but does not offer U-Pick Apples. And that was fine by us so long as Hoku could come with! 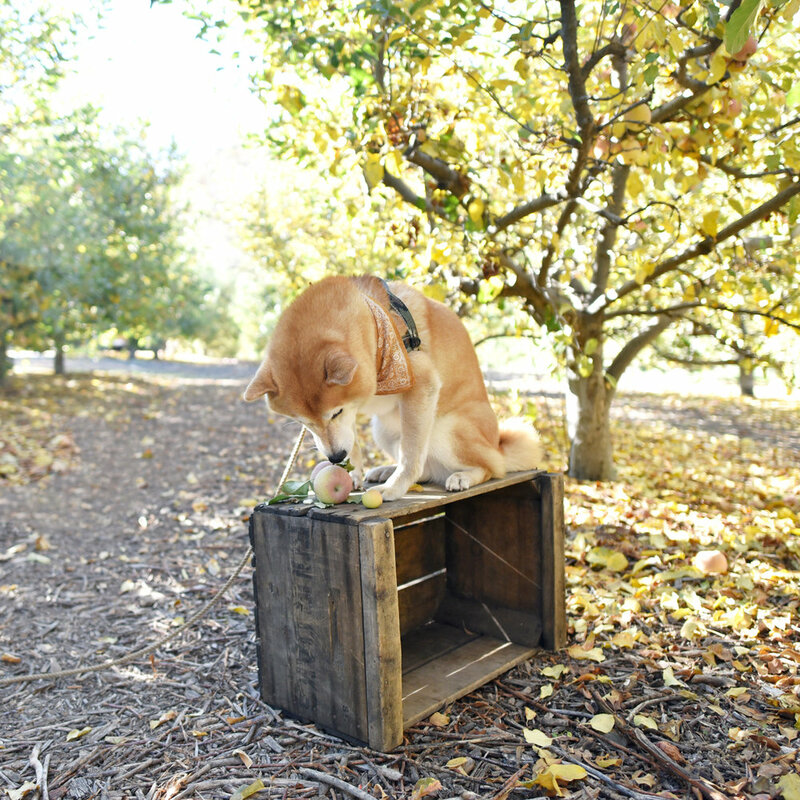 We had a lovely time wandering through the beautiful orchards and property, admiring the Fall foliage and of course, indulging in their famous, hot-from-the-fryer mini apple cider donuts. But what many folks visit Snow-Line Orchard for is the mini apple cider donuts, made with their very own blend of apple cider, freshly pressed at the onsite cider mill. We bought a generous half dozen donuts - because they definitely gave us more than that - and Hoku couldn’t keep his curious nose away from the bag. And while I had admitted in my previous post a dislike for things of a cinnamony nature, the house blend of cinnamon sugar sprinkled on top of these donuts (henceforth known as crack) may just have converted me over forever. This gloomy May weather has been bumming me out. It's almost the perfect metaphor/ pathetic fallacy for the creative block I've been kind of feeling these days. While walking Hoku yesterday, I realized that I couldn't remember the last time I took my camera out on one of our daily walks. It's funny how easily things can become routine, mundane and ordinary when there's so much inspiration in the everyday. I also couldn't remember the last time I wanted to shoot...not to document a trip, not for a job, not because I felt like I needed to update my Instagram feed, but just for the joy of it. So today, I did just that. No headphones, no looking at a screen...just me, my camera and my dog. Just like how this whole crazy journey started. Anyway, I love how this set of images turned out, and all thanks to the cloudy skies and overcast light I've been hating on. Take that, May Gray. You can't bring me down. The bandana Hoku's wearing was made by our super talented Insta-friend, Tracy (@chelseatheterrier), mom of two of our favorite scruffy pups, Chelsea and Emma. 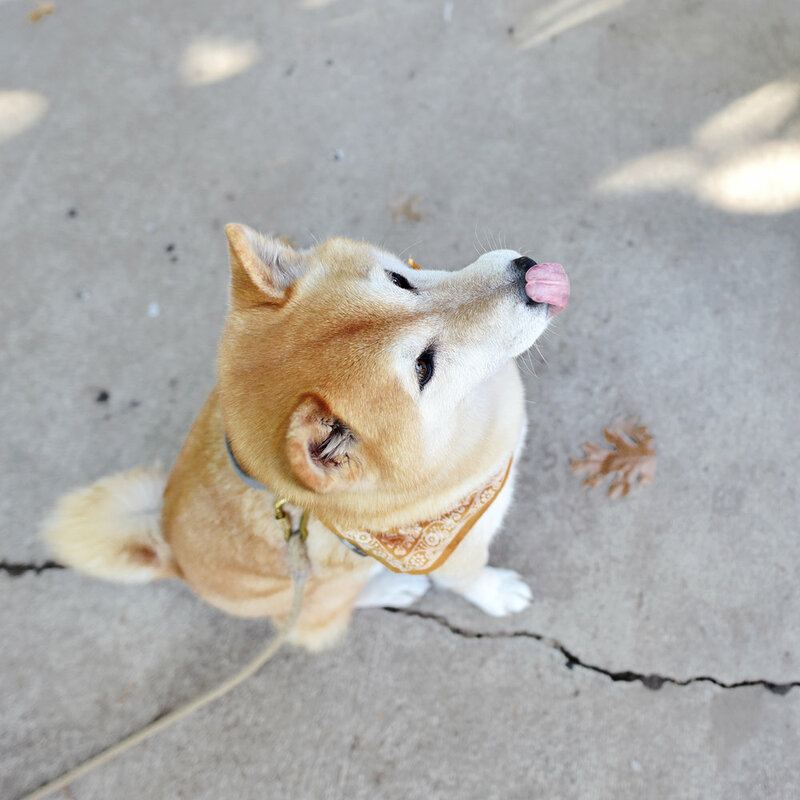 Check out her Etsy shop, Kawaii Hound, for cute handmade booties, bandanas and accessories. "Oh hi, sorry to bother. But now that I see your eyeballs, can we go out now?" Saturday morning walks with Hoku are my favorite. I love the calm, quiet streets, sunrise through the trees, the cooler temperatures. There's no sense of urgency to rush back to the computer to check emails or get ready for meetings. Instead of NPR, I listen to real music (and detox from news of the current presidential election). We take our time, pick up breakfast and coffee at our favorite bakery, and sometimes explore a new route. What's on your dog walking playlist? "Nothing But Time" from the documentary Mile Mile & A Half is still one of my favorites. It gives me an extra spring in my step and makes me want to climb a mountain. We love meandering down to our little neighborhood village center to pick up breakfast. Although I do enjoy the occasional fancy west LA brunch, nothing beats a simple chocolate chip scone and a no frills cup of plain, black coffee to start the day. While we wait, Hoku says hi to a shitzu friend and I eavesdrop on a group of old timers at the next table working on the NYT crossword puzzle together. Love the small town vibe of our neighborhood. It's going to be a gloomy, rainy Halloween weekend here, so we're looking forward to a lot of cozy time indoors. Happy Saturday, friends! This post was created in collaboration with Sudio Sweden. All opinions and photos are my own.